Counterfeit detector pens are an inexpensive and reliable screening device. They are effective for retailers, restaurants, stores, banks...any cash business. 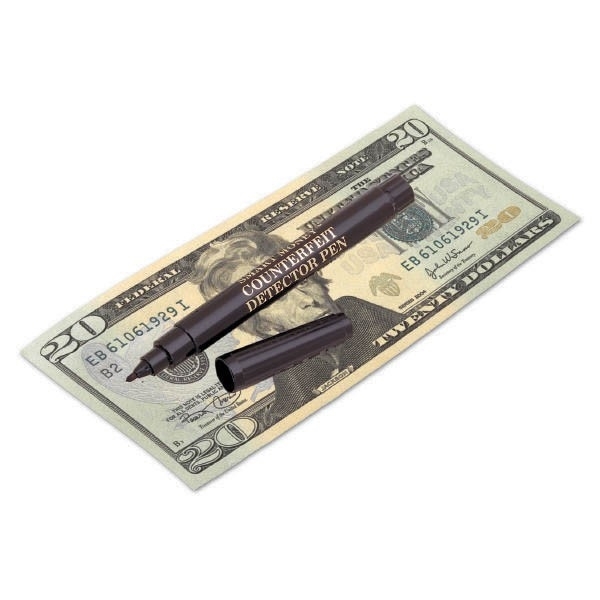 Easy to use...simply mark the bill; clear is genuine, black or dark brown is suspect. Also avaible with UV light to identify security threads. Priced each.